There’s something special about spending time in nature. And there’s something even more special about spending time in nature with your loved ones. My favorite memories growing up were the days spent at my grandparents’ lake house with the whole family. From early morning fishing to afternoon hikes to evening bonfires, there was never a dull moment. 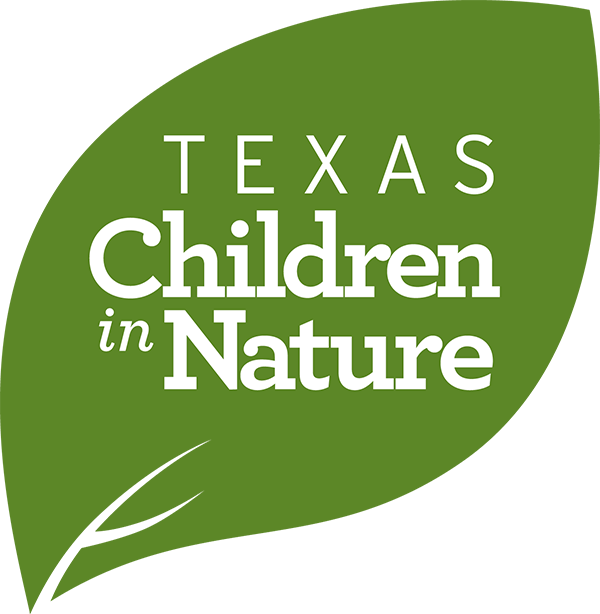 Texas Children in Nature also understands the value that spending quality family time in nature can add to a child’s life. In order to help you create these family experiences, we’re providing you with a tool to help you and the family get outdoors in the safest, healthiest, and most enjoyable way possible. Below are 13 suggestions for camping in Texas broken down by cardinal regions, highlighting some of the best features these places have to offer. Ratcliff Lake Recreation Area: Set in the Davy Crocket National Forest, this park was built by the Civilian Conservation Corps in 1936. There is a large lake for swimming and fishing, RV and tent camping, 20 miles of hiking trails and a small playground for the little ones. The shade of the towering pines makes it pleasant for camping in the summer. Alley Creek Camp Alley Creek Campground is situated along the banks of Lake O' the Pines in the piney woods of east Texas, close to the border with Louisiana. The lake was created by the construction of the Ferrell's Bridge Dam on the Big Cypress Bayou. It has now become a recreational oasis for outdoor enthusiasts. The temperate climates make boating, fishing, hunting and wildlife viewing popular year-round. North Holiday Park North Holiday Park is situated on the banks of Benbrook Lake near Fort Worth, Texas. It is an excellent destination for picnicking, boating, swimming and fishing. Prevailing southwesterly winds on the lake attract avid windsurfers. Boating, swimming, hiking and fishing are also popular. The lake record for largemouth bass is over thirteen pounds. Other catches include carp, sunfish and flathead catfish. Murrell Park is located on the north side of Lake Grapevine and is operated by the Army Corps of Engineers. This park sits on the bluffs of the north shore overlooking the main lake. This is a very well-maintained park and one of our favorite parks on the lake. Murrell Park is also the best campground on the lake. If you are into hiking or biking, this park is located on the northern end of North Shore Trail which offers some of the best trails in North Texas. North Shore Trail runs for 9.5 miles from the south end in Rockledge Park all the way up to Murrell Park and Twin Coves Park. Camp Creek Park is a 40-acre park located on the north shore of Lake Travis near Marble Falls. Large pecan trees provide a canopy of shade throughout the park. Guests can enjoy an afternoon on the water and then whip up a meal on the park’s grills while sharing stories around the fire rings. The park is limited to 16 campsites allowing you to soak in peace, quiet, and privacy. Black Rock Park is home to 45 campsites spanning from basic to full hookup utilities. It’s situated on the southwest shore of Buchanan Lake, just south of Llano County Park. Both parks, adjacent to one another, are pet-friendly, and equipped with a playground and a beach, making them ideal family getaways. Take a swim in the lake to cool off or simply enjoy the beautiful scenery. Berry Springs Park and Preserve is utilized for passive recreational uses including camping, hiking and fishing. The park features a 2.5 mile hike/bike trail that will eventually connect to Georgetown Parks and Recreation trails. Berry Springs Park and Preserve was voted "The Best Kept Secret" in the 2010 "The Best of Georgetown" contest. The park was also recognized for its outstanding trails and picnic facilities. Muleshoe Bend Recreation Area lets you mountain bike and hike to your heart’s delight. Home to 654 acres, this park has 9.8 miles of trails. Take in the scenic lake views at the large, secluded campsites. Picnic tables and grills are available at the campsites. Robinson City Park is located on the banks of the Llano River approximately 2 miles west of Downtown Llano on FM 152. The park offers gorgeous shade trees, picnic and playground areas, swimming, and fishing. Tent camping permits are available at $5 per person per day with check in and permits at the RV Park, no reservations taken. Padre Balli Park is an island beachfront park providing beach access to the cool gulf waters, your favorite beach game, camping access, and a lighted fishing pier. Thirty-five picnic sites for tent camping are available with tables and cabanas situated throughout the park and along the beach which will help minimize the sunburn. Its location off the mainland of Texas enhances the camping experience, as you’ll feel millions of miles away from the busy city of Corpus Christi. North Packery Beach, known to locals as the J.P. Luby Surf Park, is a veritable wonderland for surfing, jet-skiing, kiteboarding, wakeboarding, and more. During the summer months, this beach stays packed with Spring Breakers, locals, families, and more. The more adventurous beach-goers here can surf and snorkel to their heart’s content, while landlubbers can still take a stroll along the beach or bring the fixings to get a barbecue going. Dog Canyon Campground lies in a secluded, forested canyon on the north end of the park at an elevation of 6,300 feet. Remote and far removed from civilization; it stands at the edge of the wilderness boundary, and offers an ideal location for quiet camping, birding, and hiking. The hiking trails from Dog Canyon offer excellent access, with relatively easy grades, to the high country of Guadalupe Mountains National Park. A variety of one-day or shorter day hikes, overnight backpacking trips, and horseback riding trips can be made from here. Governor's Landing is located along the Rio Grande River just off of Interstate 90. Despite being near a major highway, Governor’s Landing is still loved by West Texans for its seclusion and quiet. Swimming is permitted in case you were looking to escape the desert heat, but no lifeguards are on duty – swim at your own risk. · Make sure you and your children drink lots of water to stay hydrated. · It is best to be active in the morning and evening when it is cooler and the sun is less direct. · Apply sunscreen several times during the day, especially if near water. · Campfires are great, but if the weather is hot it might be best to let the kids play with flashlights instead of cooking s’mores by the fire. · Take proper footwear to avoid getting stickers and stubbed toes. · Always pack plenty of bug spray and a first aid kit. · The Forest Service requests that you do not bring your own firewood to a park. Transporting wood can also transport tree-killing bugs. 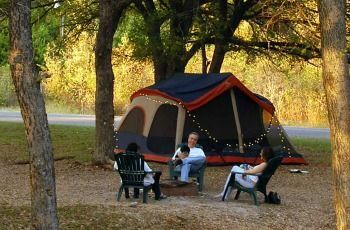 Find more places to camp and explore at NatureRocksTexas.org.